I just wanted to tell whomever came up with 5-Round Fury, that they are a genius. My first true test using it in an Ironman was at Ironman Maryland in Sept. 2014., where all things being equal, I set a 100 mile and 112 mile bike PR, crushing my old record by over 45 minutes. The best is that I set my I set when I was 33. I’m now 55. I then cruised through the marathon. Thanks for your product. I have been competing in endurance sports for several years now and am always looking for nutritional workout supplements to improve my game. When I came across 5-Round Fury, I decided to give it a try. Wow!! I am so glad I did!! I noticed immediate results with 5-Round Fury, like in the 1st few days. The benefits continue to come as well. 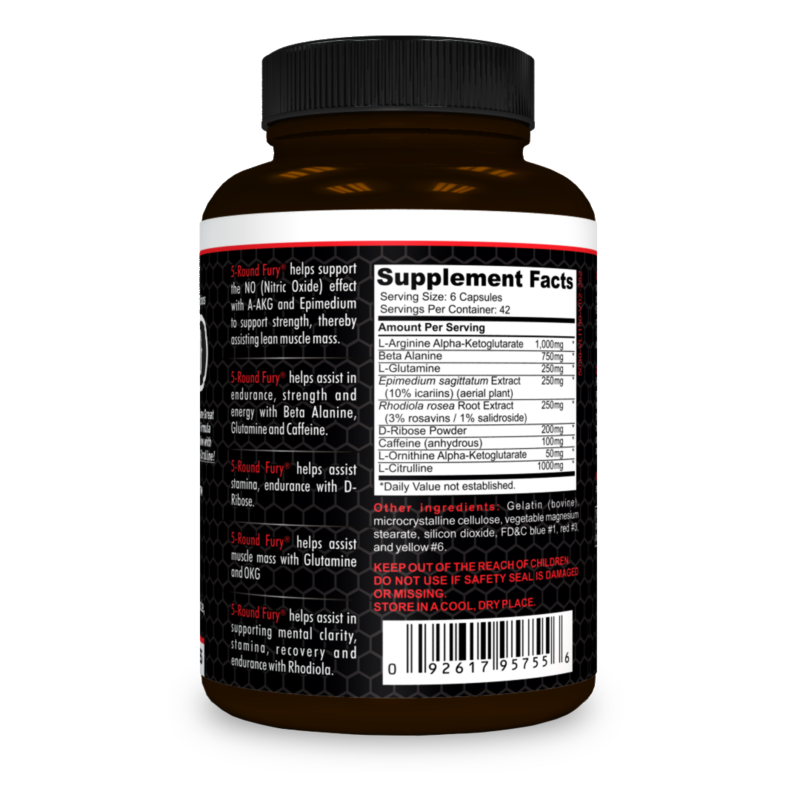 I tell you, if you are looking for the supplement to take your game to the next level, this is it!! This is the best and most powerful workout supplement ever!! 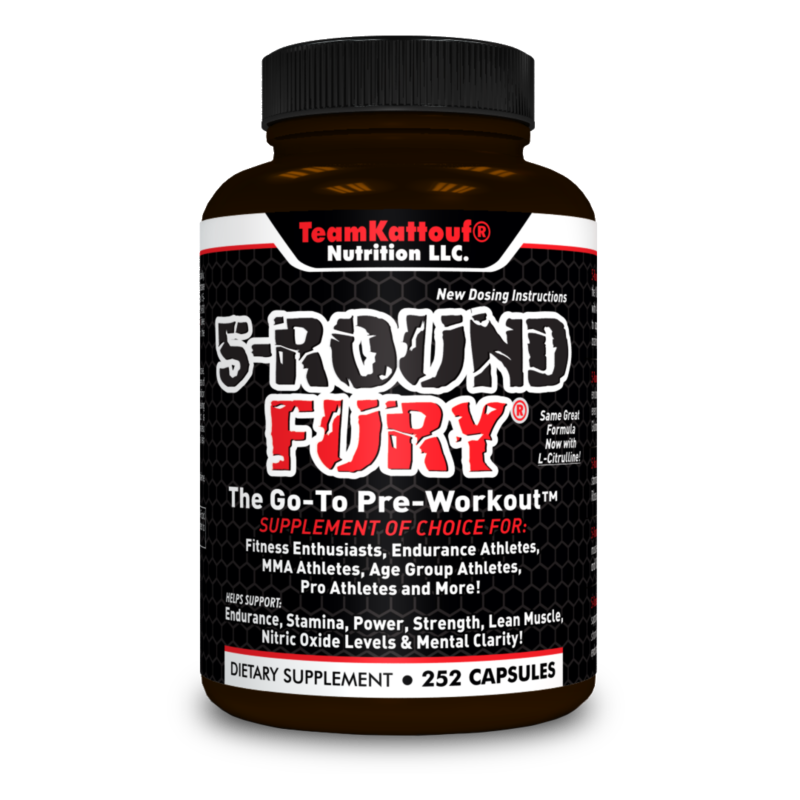 I’ve found 5-Round Fury to be vey helpful in my workouts. I find that it helps me power through the hardest workouts, and keeps me motivated through the easier workouts as well; Right amount of caffeine, so no jitters or upset stomach like other pre-workout supplements that I’ve tried. I take it in the early morning before my first workout, them again late morning after my second workout. I use it for swimming, cycling, running, circuit training, and weight training.